Yesterday, while hunting, I found another malicious document that (ab)used a Microsoft Word feature: auto-update of links. 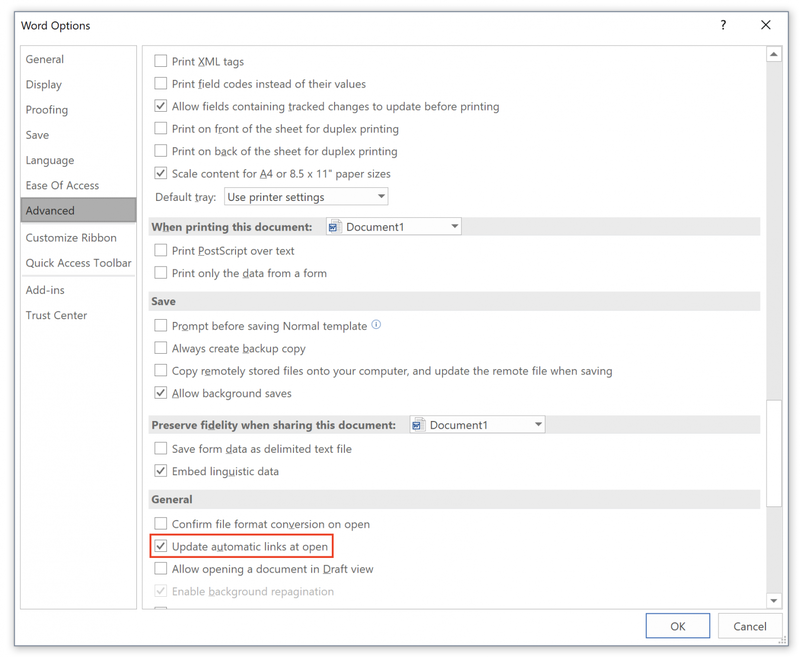 This feature is enabled by default for any newly created document (that was the case for my Word 2016 version). 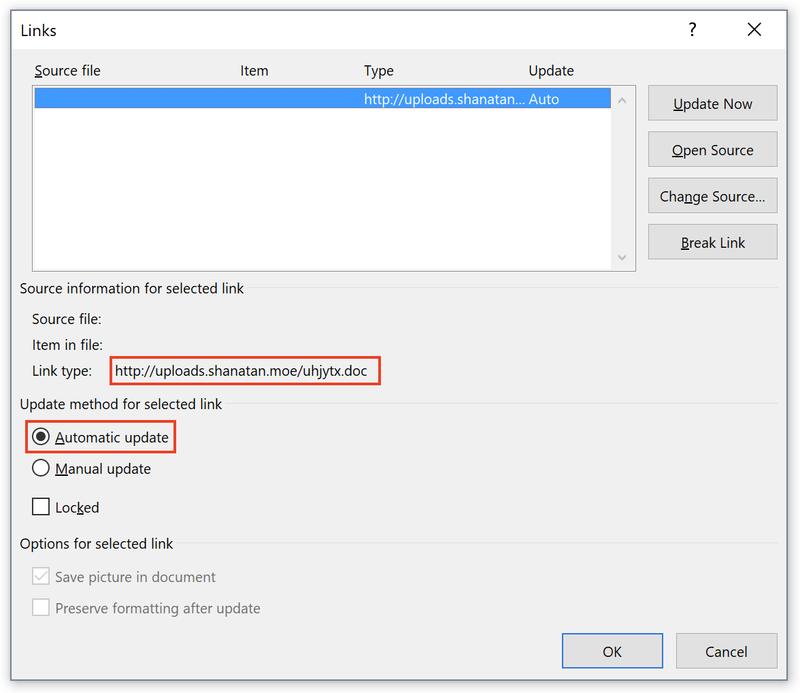 If you add links to external resources like URLs, Word will automatically update them without any warning or prompt. Just a quick correction the correct order of steps should be “File” menu, “Options”, "Advanced", then “General”.